“I love watching children and adults alike as they see their new smile for the first time. Some patients are insecure and timid in part because of their crooked teeth. To see them transform to confident individuals with higher self-esteem because of their smile is so rewarding. It is something I will never get tired of. Dr. Jim Tomassetti loves practicing orthodontics in the Fox Valley. A native of Altoona, Pennsylvania, Dr. Tomassetti and his family moved to Appleton after he served in the US Army Dental Corps. Dr. Tomassetti completed his pre-dental requirements, with a major in biology, at Juniata College in Huntingdon, Pennsylvania. He attended the University of Pittsburgh School of Dental Medicine, where he earned his Doctorate of Medical Dentistry in 1993. As a senior student, he was awarded the Academy of General Dentistry Award for proficiency in all areas of dentistry. Dr. Tomassetti served 11 years on active duty in the U.S. Army. The first year, he underwent an advanced education in general dentistry (AEGD) course at Fort Campbell, Kentucky, during which he trained in all facets of dentistry, including orthodontics and oral surgery. He spent the next five years as a general dentist, including a stint as the officer-in-charge of the NATO Dental Clinic in Brussels, Belgium. 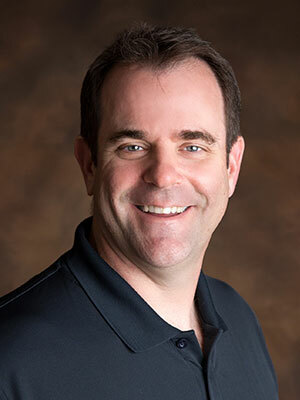 In 2001, he completed his two-year orthodontic residency training and earned his certificate to specialize in orthodontics at Wilford Hall Medical Center, Lackland Air Force Base, Texas. Dr. Tomassetti is a Diplomate of the American Board of Orthodontics and a member of the College of Diplomates of the American Board of Orthodontics, the American Association of Orthodontists, the Wisconsin Society of Orthodontists, the Midwestern Society of Orthodontists, and the American and Wisconsin Dental Associations. He currently serves as the president-elect of the Outagamie County Dental Society. Dr. Tomassetti has lectured at professional meetings in Germany, Italy, and across the U.S., and had an original research article published in a leading orthodontic journal. Dr. Tomassetti serves as a consultant to the US Army Periodontics Residency Program located at Fort Gordon, Georgia, where he has lectured to residents and mentors on combined orthodontic/periodontic/prosthodontic treatment. Dr. Tomassetti is active in the community. An avid sports fan, he sponsors numerous local youth soccer and Little League teams and coaches youth baseball, basketball, soccer, and flag football. He is an active member of the Fox Cities Chamber of Commerce and has participated in the annual Fox Valley Health and Youth Expos, lectured to local students, volunteered at the Career Connections eighth-grade student Passport for Success, and visited local elementary schools during National Dental Health month. Dr. Tomassetti enjoys spending his spare time with his wife Tracey and their four sons: Nick, Jake, Chris, and Ben.